Whomp whomp. There're no #2 Annuals for sale. 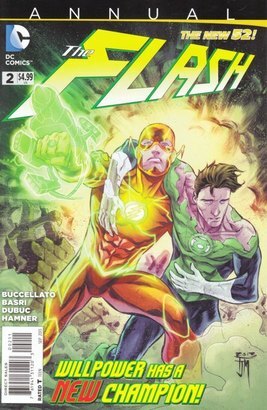 The Flash Works with Green Lantern to save the day.